The Bolt EV was the Korean brand's 3rd best selling vehicle for May, representing over 13% of domestic sales. For most of this quarter, we have noted that Bolt EV inventories and sales in the US have been very low. Earlier this month in our Bolt / Volt sales estimates we speculated that part of the reason for strained inventories was an increase in exports. For Europe between January and April, sales of the Ampera-e are up to just under 1,000 units. Estimated sales for May should bring the total to about 1,200. This would be an ~ 300% increase over the same period in 2017. Canadian sales for this period are similarly up from 700 in 2017 to 1,150 in 2018. But the most impressive increase in Bolt EV sales this year has occurred in South Korea. 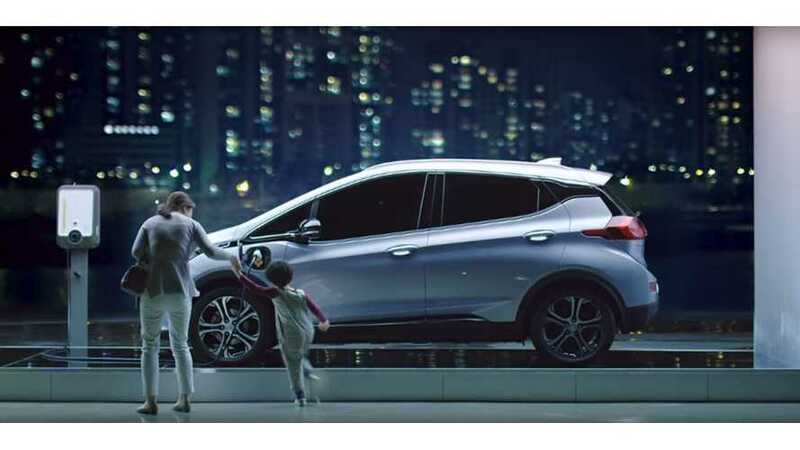 Over 6 weeks between late March and April, the electric hatchback sold a respectable 500 units in Korea. But in May sales skyrocketed to 1,014 units, nearly matching our US sales estimates of 1,125 for last month. 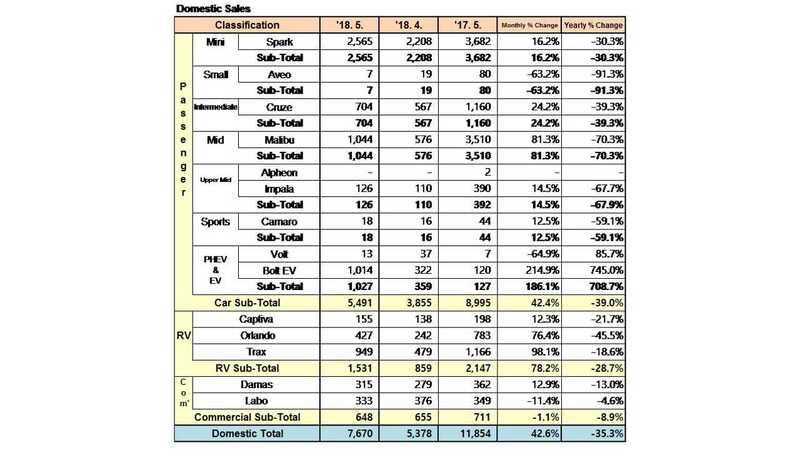 Only the Chevy Malibu and Spark outsold the Bolt EV in May. The boost in sales brings the year to date Korean totals to a rather impressive 1,551 units. This is a 522% increase from the same period in 2017. High demand and strong incentives are fueling sales in Korea. The government would like to reach 250,000 electric vehicles on the road by 2020. While South Korea does not have a ZEV mandate, they are taking a carrot approach to EV adoption. Regional subsidies for electric vehicles can exceed $23,000. Last year, the quirky eligibility requirement that a battery electric vehicle must be charged in under 10 hours on a standard household outlet were removed. 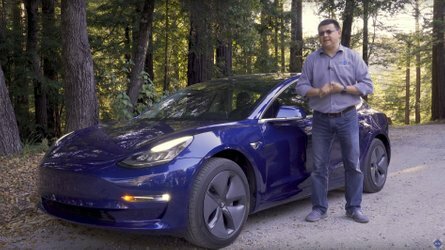 This change was pushed for strongly by Tesla and GM Korea. Now both brands stand to benefit by increased EV sales in the country. The Chevy Volt has also resumed sales, but they remain soft at 50 units for the year. The plug-in hybrid import is expensive and the very generous financial incentives do not apply. At least 5,000 Bolt EVs are expected to be sold in South Korea in 2018. GM has indicated that planned production increases this year are partially to meet growing demand in South Korea and Canada. Thanks to improvements in vehicle supply, the Chevrolet Bolt EV experienced continued market popularity among electric vehicles in May. Its sales of 1,014 units were up 745.0 percent from the same month in 2017.